A couple of weeks ago, Tested put up a video of Mythbusters’ Adam Savage painstakingly recreating the hedge maze model from Stanley Kubrick’s The Shining. The video is nearly a half-hour long, but still doesn’t capture many aspects of the project. Savage has returned to Tested to add additional information about the project, which was prompted by a love for the film and some nagging qualms with a version of the maze model featured in a Kubrick film exhibit. 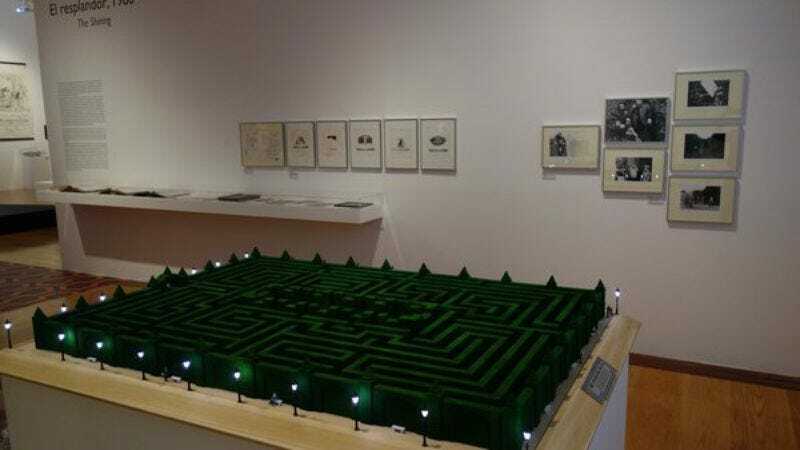 In a comprehensive journal of the maze’s construction, the detail-minded Savage shares discrepancies, not just with the exhibit’s model, but with various permutations of the maze as its presented in the film. The sheer scale of the herculean project becomes apparent in Savage’s notes, with incredible detail all the way down to wired perimeter streetlights, multiple attempts at correctly proportioned hedge column crowns, and a hand-painted news kiosk. Savage’s finished maze is now a part of the traveling exhibit.